If you looked up ‘winter wonderland’ in a dictionary, it could well say: see Sun Valley, Idaho. Ditto if you were researching ways to have the most winter family fun. Sun Valley loves families and offers almost endless activities for every generation – many of which can and should be enjoyed together! During the winter months, much family fun obviously involves our stunning outdoor resources: from world-class ski mountains, to cross country trails, and skating rinks. Most days here are filled with bright sunshine, which makes getting outside even more appealing. Sun Valley definitely is the place to play in the snow whether you are three or 93! 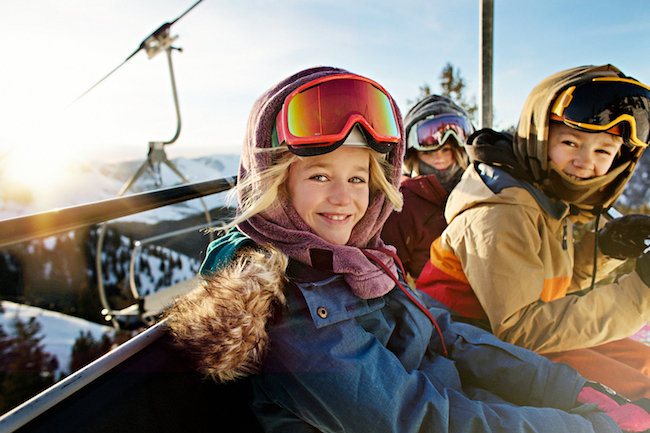 If skiing and riding top your ‘to do’ list, get ready for some serious family fun. This year, Dollar Mountain is HQ for skiers and riders of all ages, with many exciting initiatives that will make your time on the slopes the best ever. 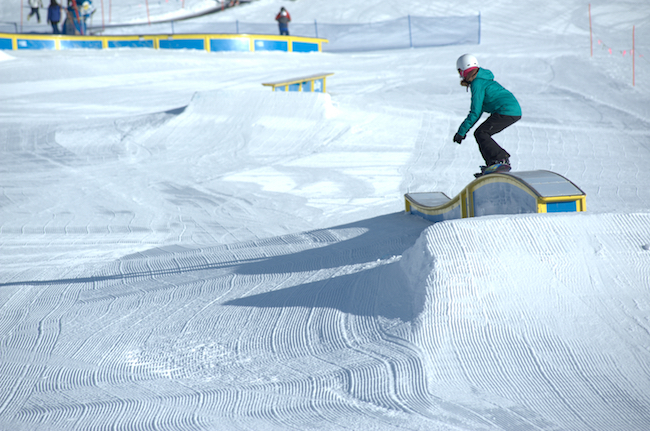 These include newly designed flow-style terrain parks and progressive features. With the help of leader-in-the-field Snow Park Technologies, Dollar Mountain is stepping into the future of "parks for everyone," from a family-friendly cross course and innovative "Terrain that Teaches" program, to larger skate-style transition parks. This mountain offers something for everything: from the Accelerator Magic Carpet to give beginners confidence for their first turns, to runs that will keep experts happy. Sun Valley’s new friendly and cuddly mascot, Sunny the Bear, also makes his debut this winter to welcome everyone to the slopes and enhance the entire slopeside experience. World-famous Bald Mountain is also an amazing place for families to play this winter with its variety of terrain. From perfectly groomed cruisers, to glade skiing, bumps, and kid-favorite adventure trails, options to enjoy the mountain vibe are almost endless. 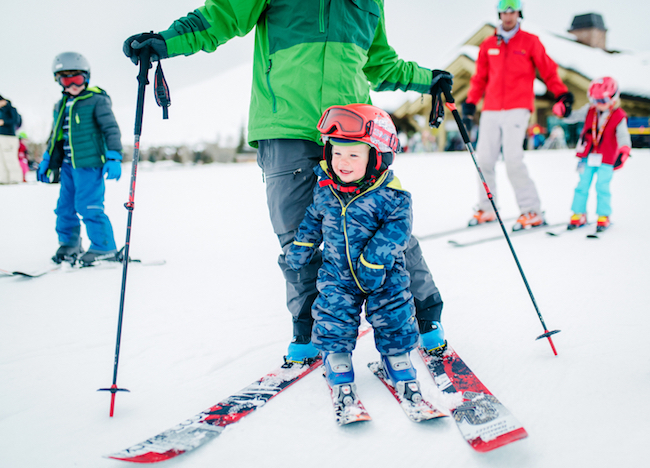 One terrific idea for family wanting to take advantage of their days of skiing or riding is the Family Affair ski lesson offered through the Sun Valley SnowSports School. The Family Affair allows a family to build their own unique all-day lesson experience with one of Sun Valley’s amazing, professional instructors. Design a day on Dollar, Baldy, or both that lets everyone enjoy what they want to most, whether that’s an early-up for Dad, a bump lesson for mom, and some time oh those adventure trails for the kids. It’s all possible and it’s a great way to make some memories to last a lifetime. Please call 208-622-2289 to learn more about this option and to book your experience. Nordic activities, from the very accessible to the more adventurous, are also great ways to spend time with the family. 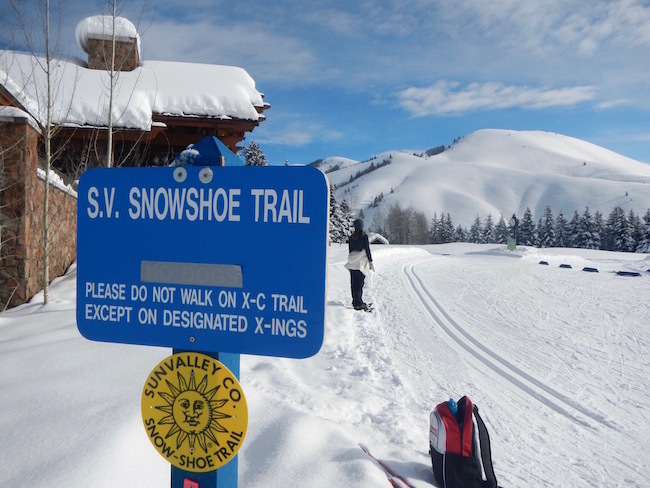 Classic and skate skiing, as well as snowshoeing and Fat Biking, are all based at the beautiful Sun Valley Club, just east of the Sun Valley Lodge. A full rental shop, plus a fabulous pro shop, can quickly get you outfitted and out the door to enjoy some exercise, glorious scenery, and fresh Idaho air. Whether your group is made up of experienced skate skiers who want to tackle many kilometers of climbs and valleys, or multi-generations who to explore beautiful trails on snowshoes, these activities are terrific ways to spend time together. 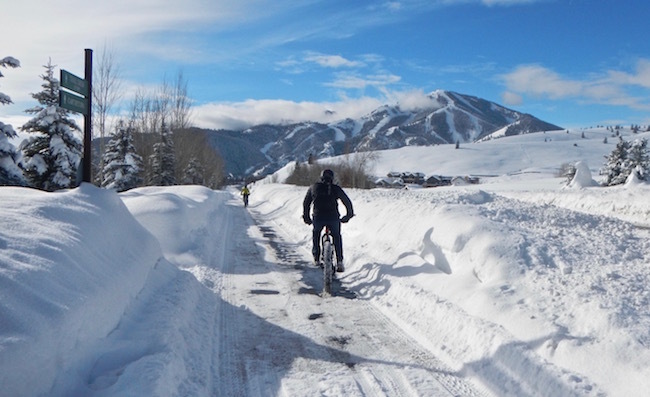 The Fat Bike phenomenon has also hit Sun Valley and is incredibly popular. These specially designed bikes are perfect for riding in the snow and once you try it, you’ll probably be hooked! Teenagers seem especially excited to try the Fat Bikes. 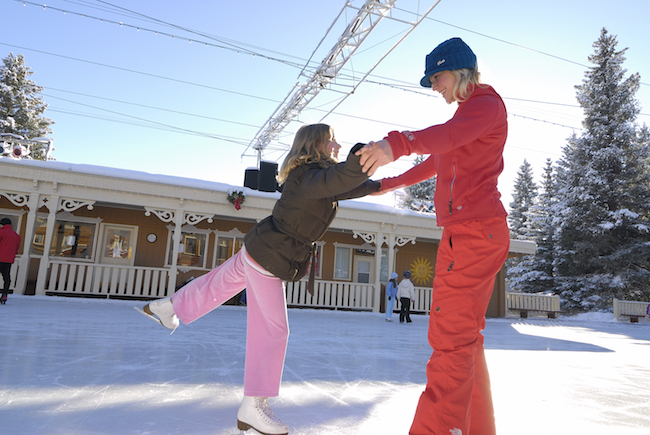 Ice skating at Sun Valley’s iconic and historic outdoor rink is a must for any family trip to the Resort. All you need to do is show up at the quaint skate house and rent figure or hockey skates and even helmets. The rink is whimsical and magical, strung with sparkling white lights, offering spectacular views of the Lodge and mountains, and filled with laughter and shouts of joy. Skating in Sun Valley has a long, storied history -- be a part of it! From frozen water to steamy water, another favorite family activity is swimming in the Lodge’s outdoor, year-round heated pool. It is the perfect temperature all winter long and incredibly inviting. Grab a snack or lunch at the Poolside Café before plunging into the famous huge round pool, surrounded by some pretty spectacular views. If a little taste of the old west would make your day merry and bright, be sure to call out ‘giddy up’ and make your way to the Sun Valley Nordic Center to enjoy a daytime sleigh ride. Climb aboard the old-fashioned wooden sleigh and get ready to go over the river and through the woods on a one-hour ride. Please call 208-622-2250 for schedule information. Please note that sleighs are weather dependent. Not all the action for families is outside, however, and eventually you will have to come indoors. But indoor fun in Sun Valley is pretty great, too! Start at the retro Sun Valley Bowling Center in the Lodge, where even the littlest bowlers can use bumpers and slides to get the ball rolling. In addition to bowling, children can enjoy the game room and everyone can play a game of pool or foosball while snacking on tasty treats. Parents can also relax with a beer or glass of wine. Movies at the Opera House are another great way to enjoy a full Sun Valley day. Featuring family-friendly favorites at a great price, this old-fashioned movie house is a great place to escape, relax, and take in some great cinema. Film offerings range from first-run titles to get-stoked ski movies and the classic, Sun Valley Serenade. The passes are available for purchase at the Sun Valley Guest Information Center Office & River Run Brass Ranch or by phoning 208-622-2135. All this activity can work up an appetite and resort offers many wonderful ways for families to recharge. Sun Valley’s brand new eatery, Village Station, is a terrific family-friendly option for pizza, pasta, entrees, tasty appetizers, with décor that pays homage to the era of rail travel. The little ones will be equally delighted by the room and the food! 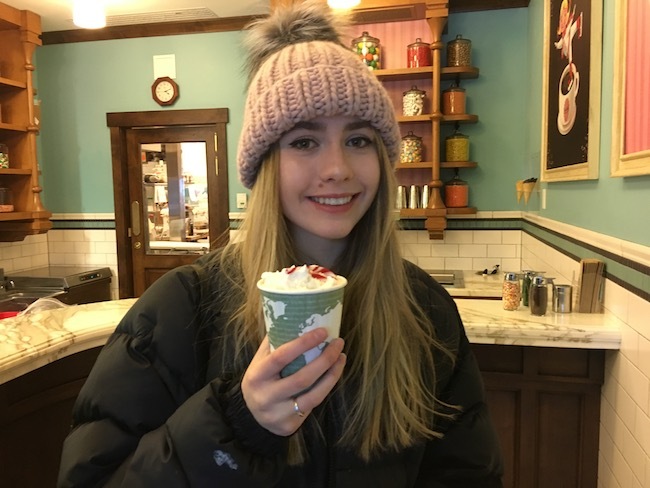 If the children are just craving a sweet treat, try a signature hot chocolate drink at a la mode or pop into the Chocolate Foundry for something indulgent. Families should also remember that for those time adults need to have some adult time on the hill or just to finish their holiday shopping, Sun Valley’s caring and professional Playschool/Kindercare will keep children happy, entertained, and safe. There are numerous options for children 18 months and older including skiing for appropriate-age kiddos, plus arts and crafts, music and stories, and other fun resort activities like ice skating or snowshoeing. Sun Valley also offers super fun on-snow lessons for children on, sure to take their skills to the next level and engender a love for skiing and riding. There are so many offerings to choose from at the SnowSports School: group lessons where your children will be met exactly where they are in their ski or snowboard development and where they will meet lifelong friends, private lessons that hone in on what children want to work on, and specialty lessons for those here for a good chunk of time this winter. Lessons are offered both on Dollar and Baldy. Please call 208-622-2289 to reserve your child’s spot and discuss exactly what type of lesson is best for him or her. Sun Valley is for families and there are countless ways to experience our winter wonderland together, making memories that last a lifetime. Get out there and enjoy!